90 Day Fiance cast member Larissa Christina is due in court this week. Then suddenly, she re-uploaded loved-up pics with Colt Johnson. Are these events related? This noticeable change on her Instagram timeline seems interesting given her day in court February 12. It sure looks like Larissa Christina is thinking about the good days of her married life with Colt Johnson. 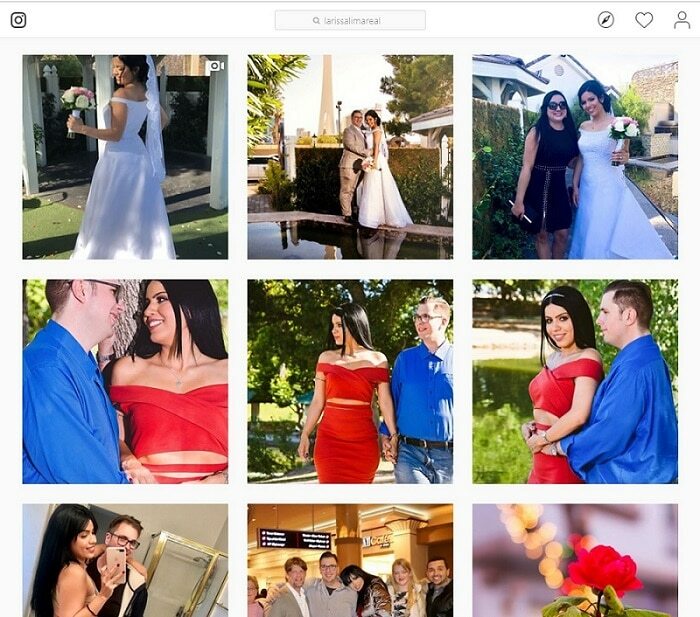 The 90 Day Fiance babe adjusted her Instagram timeline to look like half of a happy couple. But does she have an agenda for posting these pics of better days? Larissa is due in Las Vegas Justice Court on Tuesday to face charges for her third domestic violence arrest after a really bad night between the pair. The first two arrests never went to trial because Colt didn’t push through with charges. This time, he said he won’t drop them. So is Larissa hoping happy pics will sway the judge? Larissa Trying to Sway the Judge? 90 Day Fiance star Larissa will be in front of the same judge that got her other two cases that were later dismissed. With her day in court rapidly approaching, Larissa unarchived old photos of herself and Colt when they were still together. A closer look at her page shows romantic pictures from last year, including her engagement and wedding photos with the 33-year-old software engineer. Apparently, the reality star put the images back up, which she deleted after their nasty split. 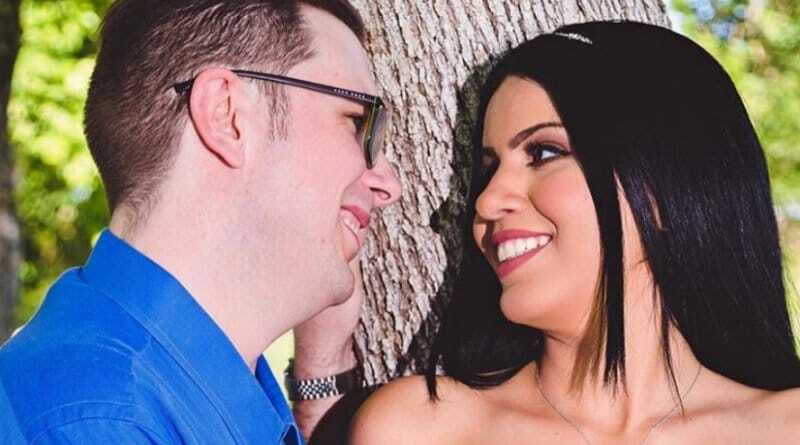 The move comes as a surprise to 90 Day Fiance fans but it might be all about her domestic violence arrest and trial. Ever since Larissa Christina and Colt Johnson went their separate ways, they haven’t been very amicable. The couple has been throwing jabs back and forth — both trying to go against each other. But she must answer to the court for allegedly assaulting Colt and self-inflicting injuries to claim he was the aggressor. The timing of her posting these pics is suspect. After her third arrest, Colt Johnson filed divorce papers. Then, 90 Day Fiance couple Larissa and Colt wiped traces of each other off their respective social media pages. So why did Larissa Christina put these pics back up out of the blue – and right before her court date? 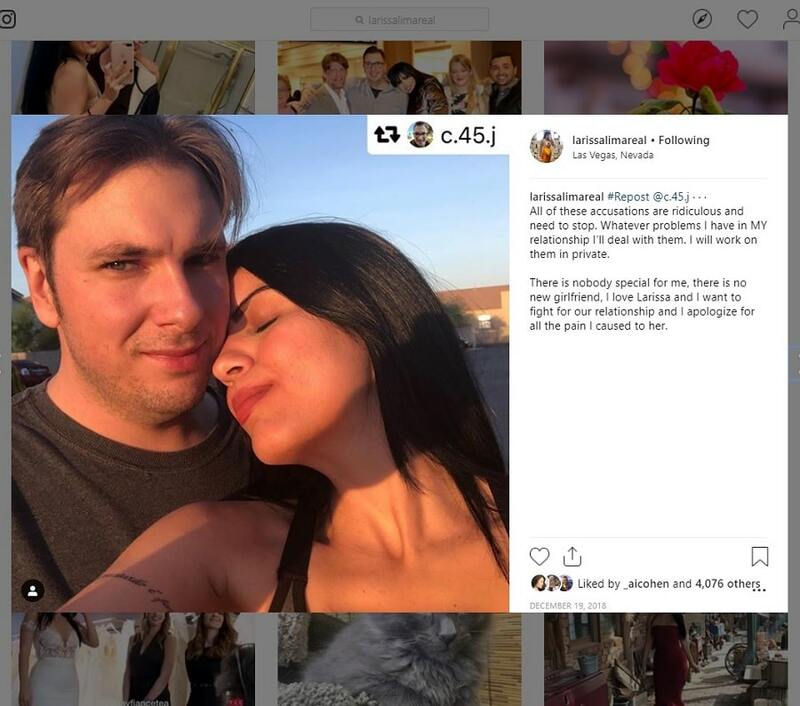 90 Day Fiance: Calculated Social Media Barrage? 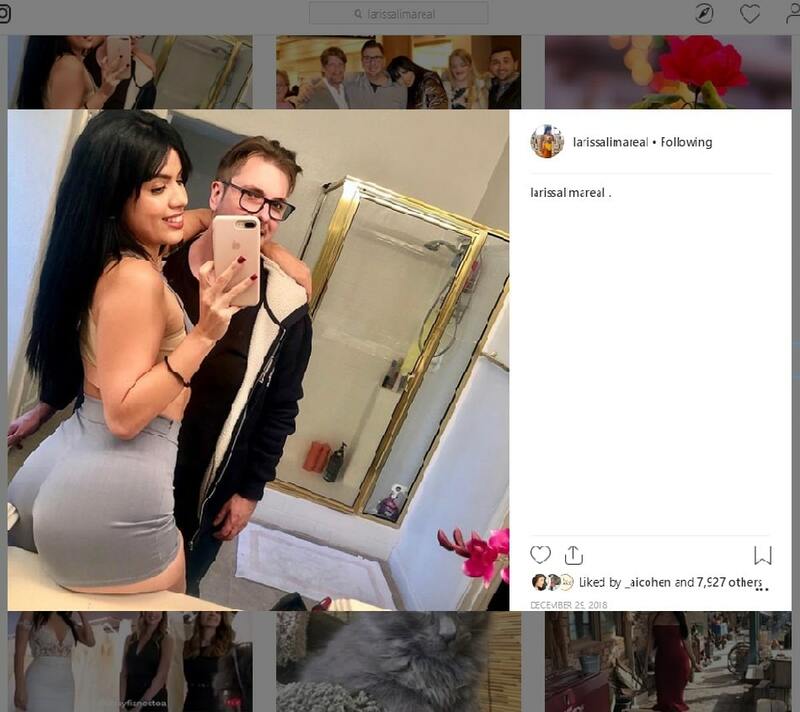 Now that Larissa Christina added back her pictures of Colt Johnson on Instagram, some ask if there’s a reconciliation in the works. According to Colt, that’s a hard no. Others wonder if it’s her trying to use the pics for a green card. But her immigration status has a more pressing concern – the criminal trial. If Larissa Christina is convicted on this misdemeanor domestic violence charge, she’ll very likely be deported and ineligible to return to the US ever as an 90 Day Fiance. 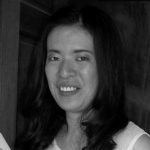 She might lost any shot at a green card too – even if she finds another sponsor – according to Soap Dirt’s quick chat with an immigration attorney. Will Colt Johnson Show Up to Larissa’s Court Date? 90 Day Fiance spouse Larissa Christina (aka Larissa Dos Santos Lima) was ordered to appear in court in Tuesday, February 12. This initial hearing is for domestic violence. Colt Johnson may or may not be in court for this domestic violence hearing. Even a misdemeanor DV conviction is considered “moral turpitude”. It can block any 90 Day Fiance from ever getting a green card. However, if it’s classified as a “petty offense” she might be able to get an exception. However, the divorce is also grounds for deportation. If convicted on this charge, Larissa faces a fine, community service, counseling, and probably an order to leave the US. So did Larissa Christina alter her Instagram picture catalog to influence the criminal court or for some other reason? Check back for an update tomorrow on what happens in court. For all the latest scoop on 90 Day Fiance, be sure to check back with Soap Dirt!